You’re a journalist. Sometimes you make good money, sometimes great money, sometimes nothing. You love the work, but you hate being dependent on the fluctuating income. 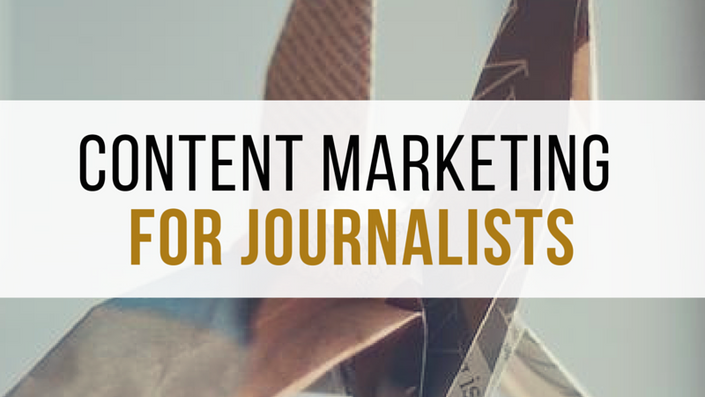 You’ve heard about this new-fangled thing called content marketing and how other writers– journalists!– are making fantastic money doing it. You’d like in on that. Or maybe you’ve already dipped your toes in the content marketing waters, liked what you experienced and would like some more of where that came from, thank you very much. This course will show you how. The class includes six modules with four lessons each, designed to be completed in six weeks, though you are certainly welcome to work at your own pace. In addition, there are 30 action steps, one for each day of the six weeks. Further, you'll have access to interviews with top industry professionals, including assigning editors at two content marketing agencies. You'll also have the ability to network with other Content Marketing for Journalists students (and alumni) so we can share tips, resources, advice, and motivate each other to do better. I’ve been a freelance journalist for 13+ years. I’ve written for some top publications, including TIME, The New York Times, CNN, Parade.com, ABC News (Australia), PsychologyToday.com, The Christian Science Monitor, The International Herald Tribune (RIP), GlobalPost, and The Independent (UK). I’ve been a contributing editor at Elle’s Indian edition and have contributed to several national and international editions of Cosmopolian, Glamour, Vogue, Self, Marie Claire, and Ms. I’ve written books, I’ve written for other people’s books, I’ve been featured in books. I’ve won awards. I run the website The International Freelancer. More recently, I introduced content marketing into my freelancing mix. In a few short months, I managed to land clients that include a large US bank (Chase), a financial services company (Prudential), a technology company (HP), a couple of trade associations, an international foundation (Helen Keller International) and an African government (Nigeria). I’ve also previously done content marketing work for Kodak and Canon. I went from making $100 an hour as a journalist to $400 an hour as a content marketing writer. And I thought, hmm, I think others would like in on that.